Link Opportunity Audit | Is That a Link Worth Building? What if you built that link? Would it do your rankings any good? Is it relevant in your industry? Is it a strong link? Is it a Penguin-friendly link? The Link Opportunity Audit mode in Link Detox® answers all these questions for you and helps you take the right decision. A single wrong link building decision can attract a Google Penalty. That's why you need to understand the impact that the new links you plan to build can have on your backlink profile. Use the power of Link Detox to build only links that help your website grow. Now you have a tool that helps you check is the links you're planning to build are risky for you or not. One wrong decision can attract a Google Penalty. Link Detox helps you avoid that. Link building in the post-Penguin times is not easy. Every mistake can lead to a Google Penalty. To avoid these issues, make sure that your new backlinks are strong and have a low risk. The “Link Opportunity Audit” is a Link Detox feature that helps you check the quality of potential backlinks. It allows you to run Link Detox against a list of potential links. In this simulation mode, you will be able to see how the links that you're planning to build can affect your backlink profile. You will get a clear idea of the potential risk of building those links. Avoid any links that can hurt your rankings in the future. Pick only the links that could help you and reach out. Using this mode, you make sure you perform safe link building and avoid risky backlinks by mistake. You can upload a list of potential links as link opportunities and mark them as “potential” links. Link Detox should already have the most current disavow file, a connection to Google Search Console and other basic requirements here. 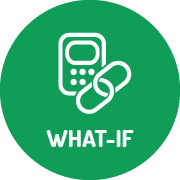 The system will now simulate “what if” you had those links and calculate a DTOXRISK® for them. That’s where the old name “WHAT-IF” mode actually came from. Now you can easily view all simulated links by filtering the “simulated” ones or by clicking the filter slice “Show link opportunities only”. You can easily judge each link by using our Link Detox Risk (DTOXRISK) metric among all the other metrics shown. You can now star your favorite links and store them in your project global favorite settings for later processing. Alternatively, you can use the tags in Link Detox to mark the links you decide to build. 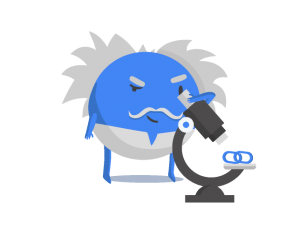 You could tag each link with a priority and team member name, a maximum time budget to spend on getting that link, and any other notes for your outreach team. Then you can download only the tagged potential links as an Excel file and also use this as goal definition for the outreach. 5. Now go out and build those great and low-risk links! Yes, it’s that easy. By using the Link Opportunity Audit feature of Link Detox, you have now checked all potential links for their risk and made an informed decision where you want a link. 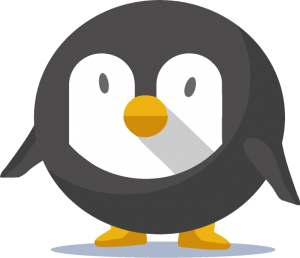 Make sure that you build only Penguin-friendly links for your website! It's important to check the impact that a backlink would have on your backlink profile. Don't just build links! Build them the right way. Build strong and low-risk links.